Porcelain stoneware is one of the most practical and aesthetically attractive finishing materials. 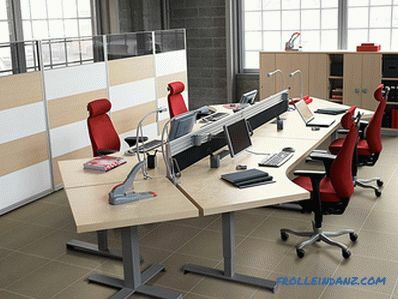 Initially, it was used exclusively for technical purposes - in public places and at industrial enterprises. 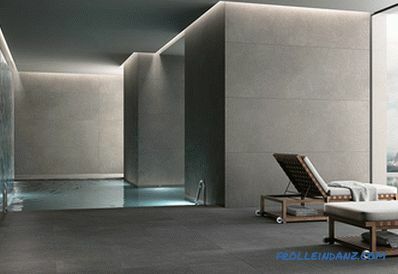 However, modern technologies have allowed to create new types of tiles, in which outstanding characteristics and properties of porcelain stoneware are combined with a variety of design options and a rich palette of textures and shades. 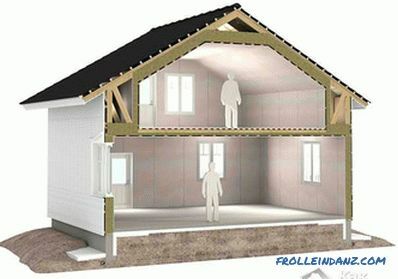 This article describes in detail the advantages, types and scope of the material. The basis for the creation of ceramic granite plates is the so-called slip - a soft, pasty porcelain mass. illite clays - are necessary for giving raw materials more plasticity, subsequently turning into homogeneity and bending strength. burning tiles in furnaces at a temperature of 1200-1300 degrees. 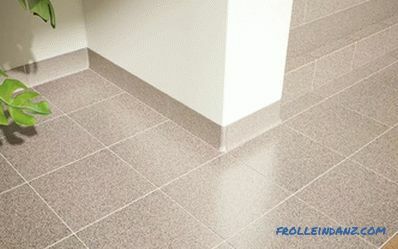 Grinding or polishing tiles (if necessary). 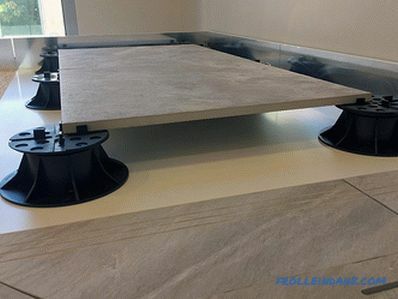 This technology makes it possible to obtain porcelain stoneware with a special structure - absolutely dense and smooth, monolithic, in which cracks, pores and foreign matter are almost completely absent. One of the most important advantages of ceramic granite is its exceptional hardness and increased strength. The hardness of the material on the Mohs scale, used to determine the characteristics of minerals, is estimated at 7 - 8 points. This indicator is only slightly less than that of corundum and diamond. The surfaces revetted with porcelain stoneware for a long time retain their primordially flawless appearance, since chips, scratches and holes are not formed on it. 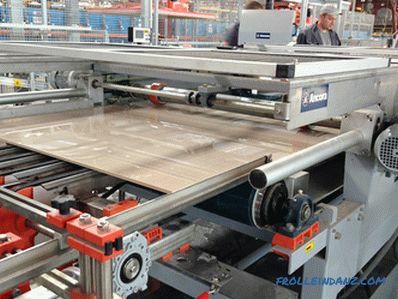 The material is extremely resistant to shock and constant loads, and therefore becomes the optimal solution for flooring in rooms with high traffic - both people and special equipment. 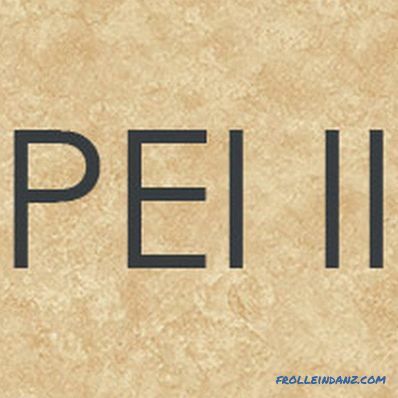 The degree of strength of ceramic granite is evaluated by two parameters - the thickness of the tile and its structure. The minimum allowable thickness of porcelain stoneware is 8 - 8.5 mm - this tile is most often used for finishing walls in rooms. Thickness of 12 - 20 mm is recognized as optimal for facing floors in high-traffic areas. 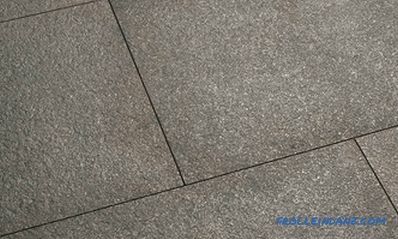 The thickened porcelain stoneware (up to 30 mm) is able to withstand heavy weight and serious shock loads, which allows it to be used to create flooring in public places. 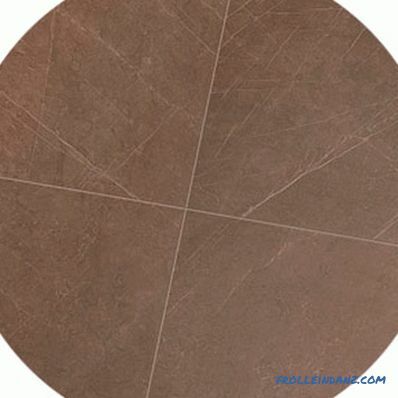 In order to finally verify the strength of porcelain stoneware tiles, it is advisable to examine their reverse side. Qualitative elements are distinguished by very small square grooves and maximum surface uniformity, without any friability and voids - only in this case the absolute reliability of the material during installation is possible. Wear resistance is another essential property of porcelain stoneware. In order to evaluate the degree of abrasion of the tile, special tests are carried out with the impact on the surface of the material with a special abrasive corundum roller. After a certain number of cycles, the tile is illuminated with a special lamp for the presence of abrasions, and a certain class is assigned to the material. 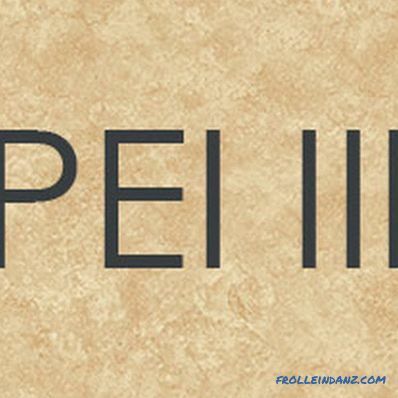 PEI I ( is assigned in the absence of traces of abrasion after 150 revolutions of the roller) - such material is used in rooms with minimum permeability and optimal temperature and humidity, most often for the dining rooms and bathrooms in houses and apartments. 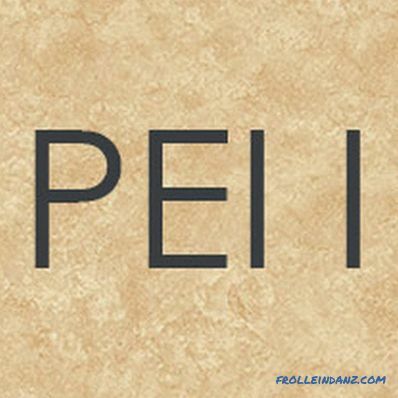 PEI III (1500 cycles of abrasion) - used for halls, hallways and verandas of private cottages, as well as for facing floors in small offices. 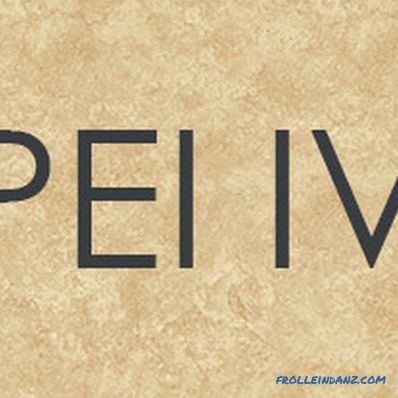 PEI IV (over 1500 abrasion cycles) - the most common and versatile material.Able to withstand a fairly high load, making it suitable for finishing offices, cottages, hotels and stairways in apartment buildings. 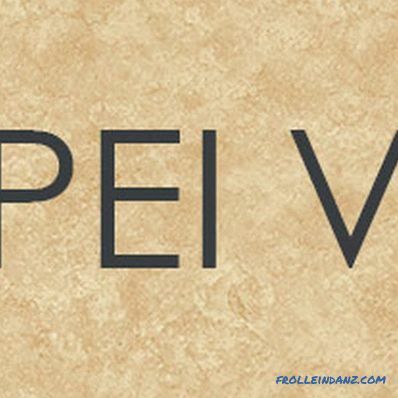 PEI V (more than 12,000 abrasion cycles) - porcelain stoneware with maximum wear resistance. 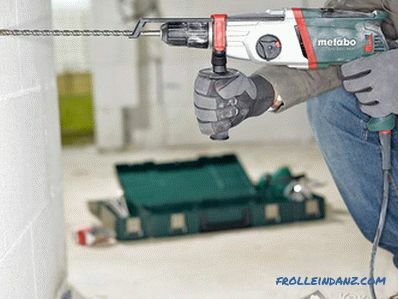 Used for decoration of stairs and halls in public places, shopping centers and even at railway stations and airports. Wear resistance analysis of porcelain stoneware is carried out exclusively on glazed tiles. On material with a matte surface, such tests are not carried out. # 1. BCRA Method. An estimate of surface smoothness developed in the UK. It is a scale from 0 to 1 and the unit of measurement is µ. If the number µ is less than 0.19 - the surface of the material is very slippery, if more than 0.75, then the tile is as safe as possible. The average, normal value of µ for matte tiles is between 0.4 and higher. # 2. Norma DIN 51130 (Germany). It estimates the slipperiness of the flooring for public and industrial establishments. For the former, the indicator R is from 9 to 10; for the latter, 11–13. # 3. Standard DIN 51097. Safety assessment of porcelain stoneware when walking on it without shoes. According to this standard, Class A tiles are permissible only in dry rooms, Class B in bathrooms and shower rooms, and the safest Class C porcelain can be used for lining pools, including boards and underwater ladders. Due to the almost homogeneous structure of ceramic granite and the absence of internal voids, the material has an extremely low water absorption coefficient, which varies from 0.01 to 0.05%. 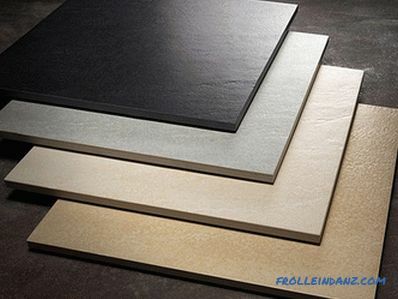 For facing materials, this value can be considered the smallest - for example, the water absorption coefficient of a conventional ceramic tile is 1%, granite - 0.46%, and marble - 0.11%. 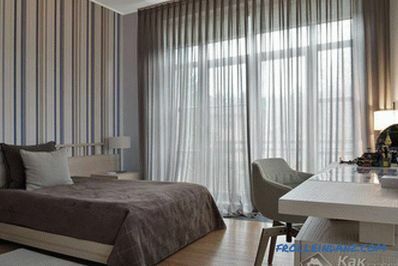 Such characteristics of porcelain stoneware provide it with excellent moisture resistance and frost resistance. The material is suitable for facing rooms with high humidity, including showers and bathrooms - you can not be afraid that the tiles will fall off even with active use. On the street at low temperatures, porcelain is also reliable and does not crack - high-quality material easily survives up to 50 cycles of thawing and freezing. High density and homogeneous structure allow ceramic granite to show high inertness to alkalis, acids and other chemical compounds. However, when interacting with certain types of grouting for seams, there is a risk that the mixture will adhere too tightly to the tile surface - and therefore experts prefer to clean and wash the grout remains from the surface of the porcelain stoneware almost immediately. AA - the absence of any changes in appearance. A - minimal surface changes. B - a noticeable change in the initial decorative properties of the material. 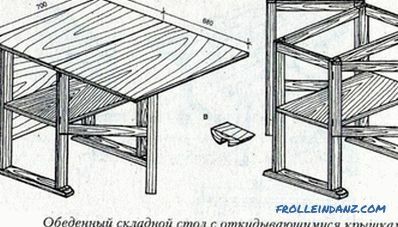 С - well marked deterioration of the original look. D - minimum resistance to external influence, change in aesthetic characteristics of the surface. 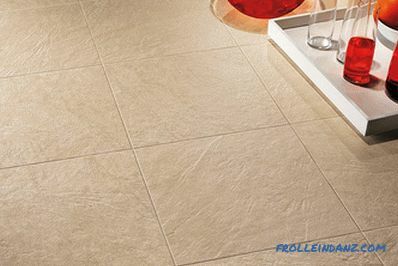 High-quality porcelain stoneware, as a rule, is AA or A. However, this is not always the case for tiles with colored glaze, paints which over time can still fade a little. Ability to resist contamination Due to this, less dirt accumulates on the surface of the material, and conditions for the reproduction of harmful microorganisms are not created.In addition, this tile has antistatic properties and does not attract dust. Geometry is a characteristic of porcelain stoneware, which plays a key role in terms of the quality of laying the material. It is based on the minimum difference in tile sizes from one batch after firing. Each manufacturer’s factory has its own system of calibers, assigned after accurate measurement of tiles on all surfaces, but in general it varies from 0.1 to 0.7%. 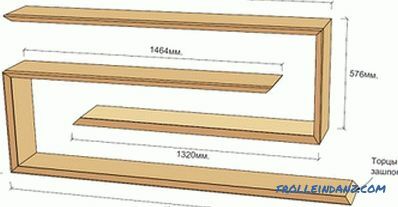 So, for example, with a declared material size of 300x300 m in one package there can be a tile with dimensions of 300.5-299.5 - this will be zero gauge, since the difference with the standard is minimal. The length and width within 300.5-301.5 will correspond to the first caliber, 301.5-302.5 - to the second. Thanks to rectification (additional processing of edges and edges), the pitch of the caliber can be reduced to 0.5 mm. When facing, it is possible to use only tiles with an adjacent caliber, otherwise the difference will be too noticeable, and high-quality stacking will not work. Today you can find various types of porcelain stoneware for sale, then we look at the most popular options. The least expensive and easiest to manufacture. Differs in high durability and not striking appearance, often has a salt and pepper surface texture. It is widely used for facing floors in industrial workshops. Porcelain stoneware with an unpolished surface that is not treated after firing. Differs in a practicality and high durability to attrition. It is obtained by removing the top layer of the tile, followed by grinding and polishing, after which the porcelain stoneware acquires a mirror finish. 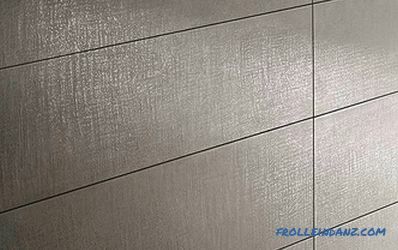 Due to its high slipperiness, it is mainly used for wall cladding in shopping centers, swimming pools or offices. Its other name is ground in. It turns out as a result of surface grinding with special abrasives to a semi-polished state. After that, the surface of porcelain tile is combined, with shiny and matte areas. 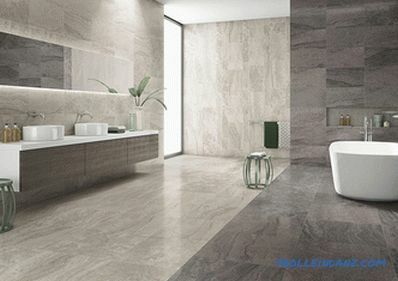 Such tiles are more durable and less slippery than polished, due to which they are widely used. Tile, on which a layer of mineral salts is applied before firing. 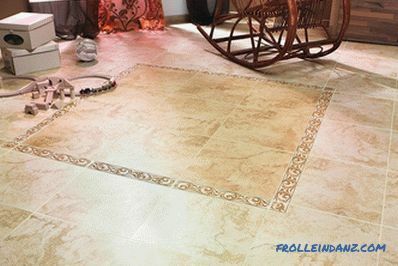 This gives the tile a soft, natural sheen with almost no slip. Porcelain tiles with a coating or pattern applied with colored glaze before firing. This tile has a high decorative effect and is used for interior design decoration in apartments, cottages, cafes and restaurants. Relief tile, the surface of which can imitate any structure - natural stone, natural wood, bamboo, mosaic. It looks very attractive and is often used in modern interiors. Another novelty in the field of design is rustic granite, characterized by light aged and deliberate, naturally coarse structure. 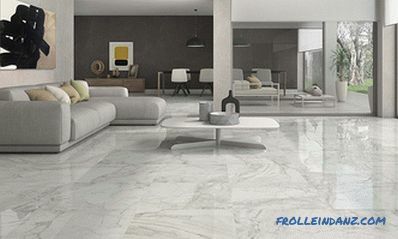 The choice of such tiles today is impressively wide - Italian, Spanish, Russian and Chinese manufacturers offer both inexpensive and versatile and exclusive collections of porcelain stoneware. 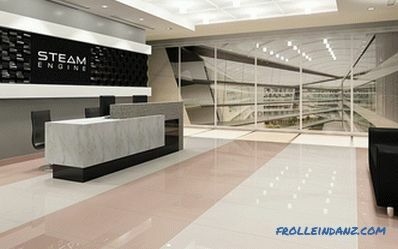 Porcelain tiles are used for finishing and facing the floors and walls of large offices and business centers, shopping and entertainment complexes, hotels and stations, restaurants and dining rooms, as well as to update the facades in order to aesthetically improve the architectural appearance of neighborhoods or streets. Due to its reliability, durability and safety of porcelain stoneware, it is often used for cladding pools, changing rooms and showers. For hinged facades with integrated ventilation, porcelain stoneware is the best solution due to its high strength and durability. 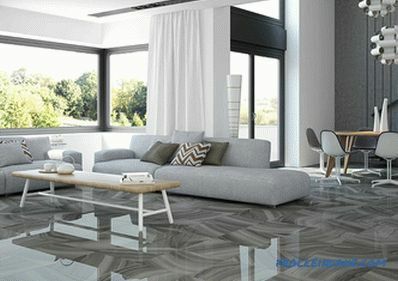 Porcelain tiles from various designer collections allow you to create a truly unique and practical design of the hall, bathroom, dining room, kitchen or veranda. Modern granite pleases with durability, unpretentiousness and remarkable aesthetic diversity. Correctly selected in all respects and laid with the observance of technology tiles capable of pleasing the wealth of colors and incredible strength for more than a decade.